The following post was submitted to the CopBlock Network by Isiah Holmes, who has been featured several times previously on Cop Block, via the CopBlock.org Submissions Page. In this post, Isiah discusses a program recently started by Gloucester Massachusetts Police Chief Leonard Campanello in which, rather than treating drug abuse as a criminal issue, it’s treated as a disease requiring treatment. No one can deny the profound reservoirs of foresight Albert Einstein surely utilized to conjure those words. In order to evolve our understanding, we must first break the rigid behavioral or ideological loop which has brought us here. No modern SNAFU is more relevant to this phenomenon than the drug war, and its human cost. It’s a war with “soldiers”, aka our police force, who no longer agree with their own method–find them all, arrest them all. 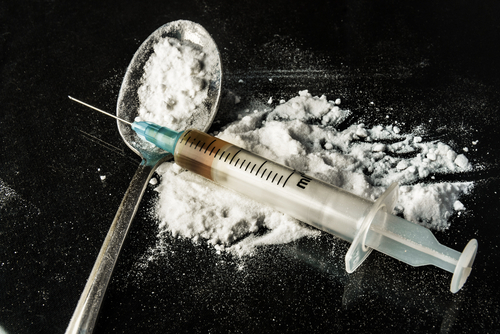 In 2015, however, one Massachusetts department found breaking operational standards was worth pulling it’s heroin ravaged community back from the brink. Gloucester Massachusetts, like a growing percentage of the US, has an overwhelming opioid issue. In fact, according to VICE, the first four months of 2015 saw four local overdose deaths by either heroin or prescription drugs. The deaths, coupled with several other overdose victims who survived, compelled the Gloucester Police Department to mix things up a little. Police Chief Leonard Campanello took to Facebook: “Any addict who walks into the police station with the remainder of their drug equipment or drugs and asks for help will not be charged. Instead,” Campanello continues, “we will walk them through the system toward detox and recovery.” Amazingly, the post’s number of shares–32,000 shares–outnumbers Gloucester’s population of 30,000 people. The Gloucester PD’s trailblazing initiative, launched June 1st 2015, is formally known as the “Angel Program”. Under the program, VICE reports, Campanello’s officers, upon making contact with a consenting addict, will transport the person to nearby Gilbert Hospital. From there, the patient is assigned an “angel”, according to the Gloucester Times, who then walks them through the rehabilitation process. Also, the Gloucester PD maintains a contingent of volunteers who stay with the patient until an angel arrives. The first patient arrived in Campanello’s station a day after the program was launched. Willfully and peacefully, the 31 year old man arrived at Campanello’s doorstep requesting help. Gloucester PD also made an overdose “antidote” available at local pharmacies without a prescription. According to VICE, the nasal spray–Narcon– is capable of instantly stopping even severe overdoses. Gary Langis, Gloucester resident and harm reduction activist since the 80’s, delivers Narcon door-to-door. “I think it’s a good thing that they’re having this conversation”, says Langis, “and looking at drug users as not a criminal thing, but as people that need a little help.” Langis, like many, expresses doubts that a population which police have historically “marginalized and demonized” is going to be willing to trust them. 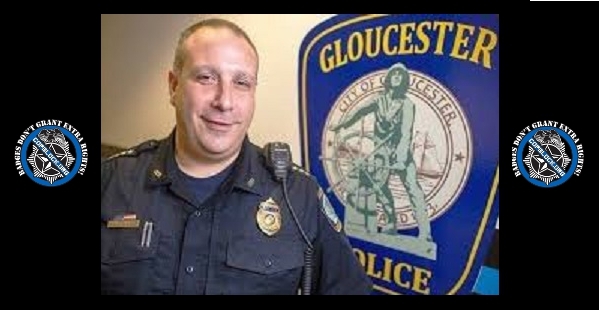 Landis’s fears may prove valid, as Gloucester officers remain obligated to charge users they get off the street, according to VICE. It would appear, however, that this particular police department, or at least its leader, is willing to move past this status quo. “Your life”, he says, referring to Gloucester’s addicts, CNN reports, “is more meaningful than your death. Don’t be ashamed of your illness. We are not ashamed of you, it’s time…come and get the help.” Following the Gloucester PD’s empathy fueled leap of faith, towns in 17 other states promptly adopted the Angel Program. A large component to ending the drug war is, indeed, legalizing marijuana. Another, perhaps, vastly more profound component is caring about the people the war hurts, ruins, or kills. We have to care about one another, and America’s current narcotics policy stands as the antithesis to this end. Now, let’s use the momentum from this small victory as a point of encouragement for municipalities elsewhere to get on board with the revolution.